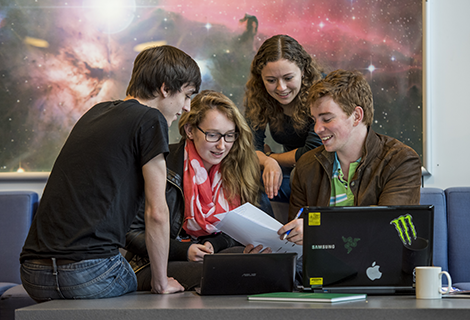 Thinking about studying a Physics and Astronomy degree course as an undergraduate? Our subject brochure will help you find essential course information such as entry requirements, and give you inspiration for new subjects and degrees that you could study. Download a Physics and Astronomy subject brochure or get a copy posted to you. What is in a subject brochure? We will email you immediately with a link to download a PDF copy of the subject brochure. We post subject brochures to you free of charge. Your subject brochure will arrive within two weeks. Explore all prospectuses and subject brochures from across the University of Southampton. If you want to study for a degree in Physics but you did not choose mathematics and physics at A level, our Foundation Year may be of interest to you. Find out more about the Foundation Year.